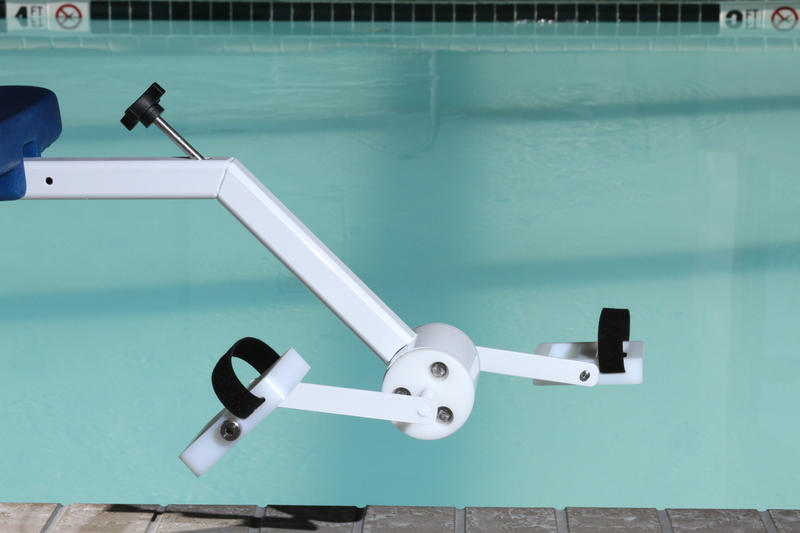 The Portability Kit can also be retrofit onto an existing Pro Pool lift to convert it to a portable unit. 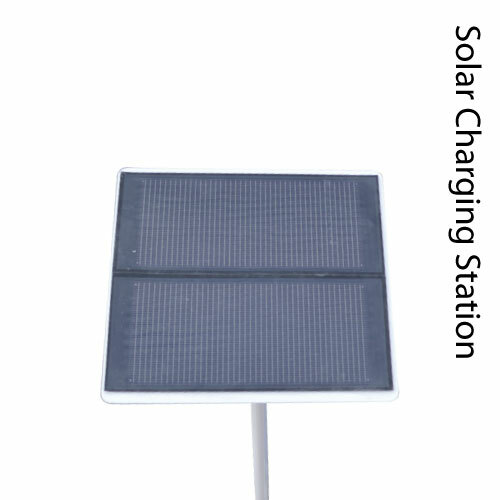 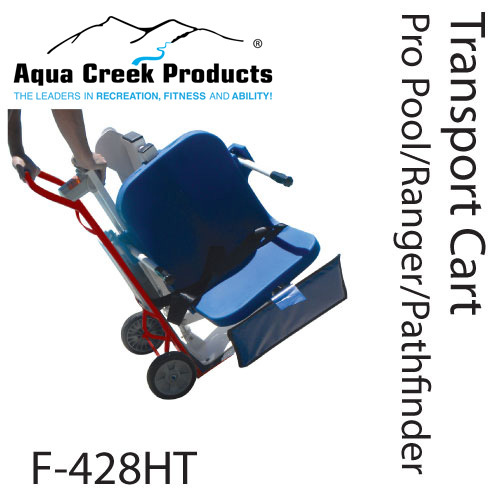 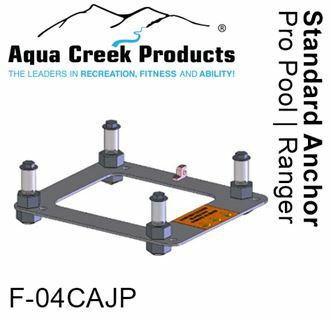 Its stainless steel construction allows the Portable Pro Pool lift a 400lb (181kg) lifting capacity. 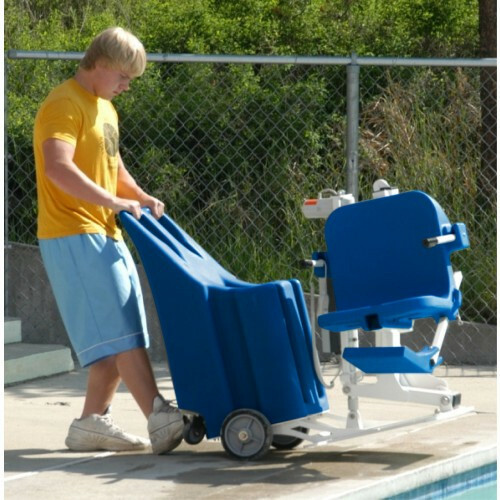 As with all Aqua Creek pool lifts, the Portable Pro Pool has a durable epoxy powder-coated finish. 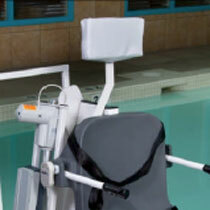 The use of dual flip-up arm rests makes a lateral transfer easy. 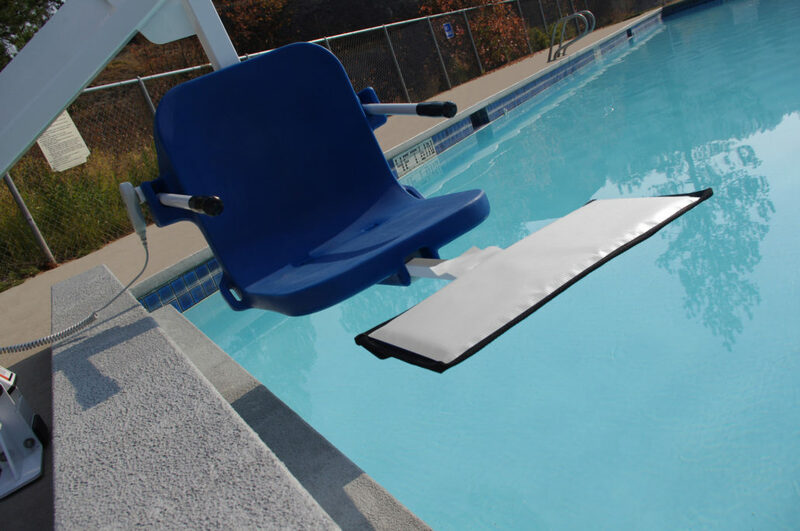 An easy-to-use 2 button submergible remote control gives the user full independence when using the lift. 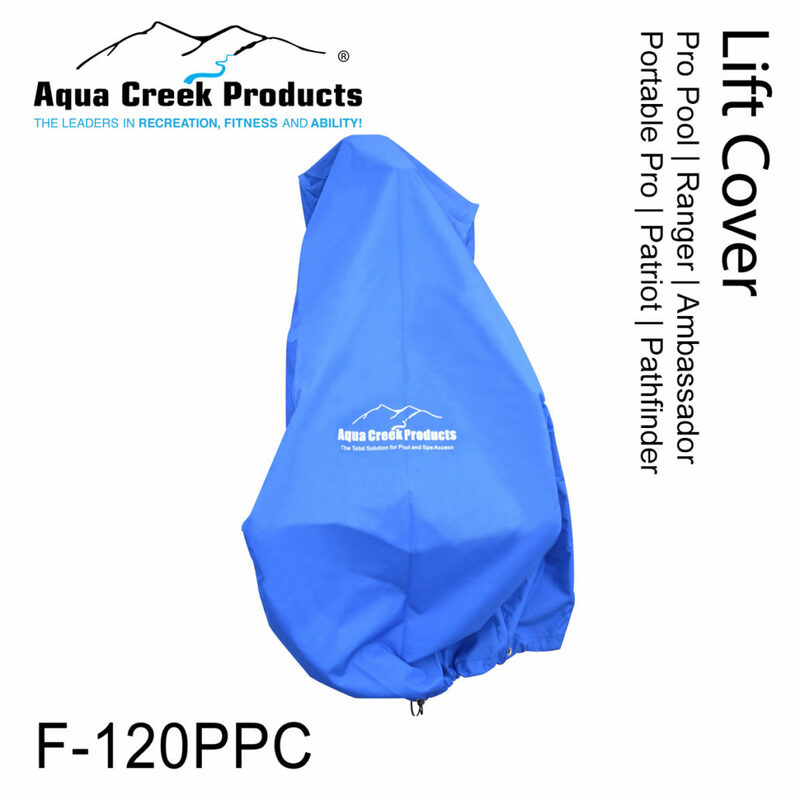 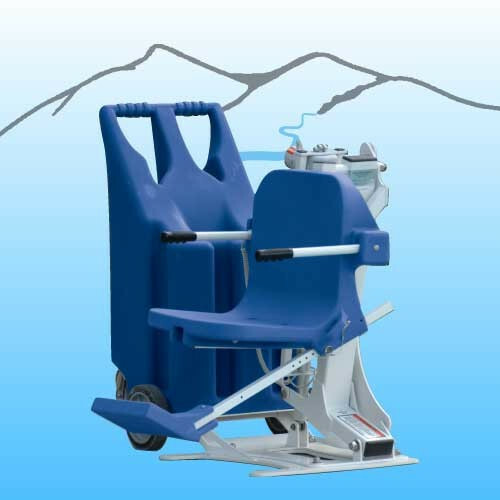 For additional comfort and security, the lift comes standard with a flip-up footrest and adjustable lap belt.